I wanted to come up with an essay that would be profound to end the year 2015, and instead I found a book that was profound. It is Gloria Steinem’s newest book called My Life on the Road. Gloria Steinem is an icon for women of all ages, and especially for my generation of women who were born, like Gloria, well before the women’s movement. The conventional upbringing I had did not prepare me for the Women’s Movement, except for the fact that both my mother and maternal grandmother could easily have been called feminists if the word had been coined in their generations. 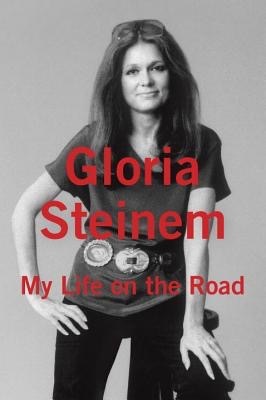 This book is actually vignettes or stories that made an impact on Ms. Steinem as she traveled. Her many hats include journalist, organizer, feminist, Ms. Magazine creator, fundraiser, campaigner, sister, daughter, and phenomenal woman. In her book, however, she reveals how she was afraid to speak in front of audiences and partnered with other experienced women until she got her sea-legs. Nevertheless, she never gave up traveling or speaking. The title is actually quite accurate in that the author has spent the greater part of her life traveling, first as a child with her mother and sister, accompanying her father and his desire to travel back and across the U.S. to sell antiques and other collectibles. At the end of the book, she notes that she has found a balance between being on the road to give talks, raise funds, etc. and being at home in New York City. The book, which is more like a dateless journal, moves in and out of time to tell the “stories” that have stayed with her for the last 50 years or so, including ones about her birth family and ones about the family-like members she has met in her travels, especially Native American women, whom she claims shared more equally with their men than the Europeans who came to America and brought with them their patriarchal system. The book is full of her wonderful stories and I admire the honesty in which she reveals herself. For example, she met bikers in Montana and had an immediate negative reaction, bundling all of the men as macho and the women as meek. Then, one woman biker came over to her table and said she loved Ms. Magazine and insisted on having her own motorcycle instead of riding behind her husband of many years. This liberated grandmother had a purple motorcycle and made Gloria Steinem realize she had stereotyped bikers. She also noted that she thought every women had a purple motorcycle inside her. So, as the year ends, I want to wish all of you a happy, healthy New Year and hope you keep finding new ways to express the woman you already are! Women’s Voices for Change has posted my end-of-year essay today. Please click on the link below and I would love you to leave a comment below the essay. They keep track of how many people read their postings. Thanx! P.S. 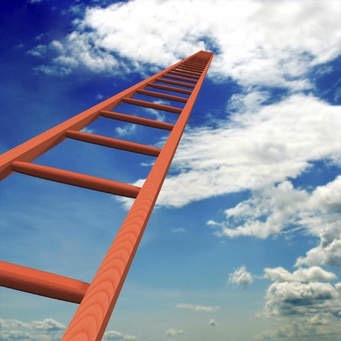 The essay focuses on philosopher Maimonides’ Ladder of Charity; thus this photo I found on the Internet will be explained when you read the essay. You are currently browsing the Menupause weblog archives for the year 2015.